This is an upgrade from the first build (here: https://pcpartpicker.com/b/mdQV3C) that I did back in September of 2015. Specifically, I upgraded my CPU from an i3-4160, my GPU from a 750Ti, and I also added in an aftermarket CPU cooler for the heck of it. When I first built this rig, I built it with the intention of using it mainly for college work, with some light gaming on the side, while doing the bulk of my gaming on consoles (Ps4, Ps3, and the Vita). Over time, however, I came to prefer PC gaming, and my consoles (especially my Ps4) started gathering dust. With that in mind, I kicked around the idea of selling my Ps4 and using that money to upgrade my GPU and CPU, but I was unsure, at the time. That was back in the summer, it wasn't until about a month ago that I decided to go ahead and do just that. Especially since there weren't many exclusives coming out on the Ps4 that I was interested in. On top of that, the handful of games that I was interested in were also playable on the Ps3, Vita, or PC, so that helped prompt my decision. 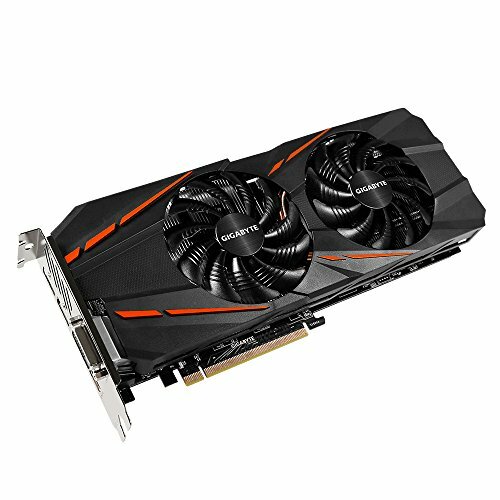 I ordered the GTX 1060 from Jet with a 15% off coupon, which is how I was able to get it for $236. I also got the I5-4590 from there, as well (it was about the same price everywhere, anyway, so I decided to save on shipping). As for the mouse and monitor, I upgraded both during the summer, but decided to include them in my parts list so that I could list my full setup. While I was upgrading this build, I also figured I'd go ahead and try to tidy up the cables a bit more while I was at it. I also routed the CPU power cable behind the motherboard, since that's about the only viable option with this case, unless you want it laying on the locking clips for the RAM slots. CPU: I originally thought about upgrading to a Xeon E3 1231 V3, but it was roughly $70 more than the i5-4590 at the time of purchase, and I really didn't think that I'd even utilize the extra power and hyper-threading (since gaming is the most intensive thing that I use my PC for). On top of that, in the event that I wanted to upgrade my GPU down the line (or if said GPU died unexpectedly), I wouldn't be able to fall back on integrated graphics. So, I went with the 4590, which suits me perfectly, and has plenty of power for my needs. GPU: I had planned to upgrade to a 970 at some point, but after seeing performance benchmarks and the low cost of the 1060, it made my decision pretty easy. The low TDP was also attractive, since I wanted to keep my current PSU. CPU cooler: I kind of decided to get this on a whim. It was cheap, and I figured it'd give the i5 extra TDP headroom for Turbo Boost. So far it's been great. Overall, this has been a pretty substantial upgrade. It can easily handle the Witcher 3 at 1080p 60Hz on Ultra (with Hairworks off and Vsync on) at 60fps. Compared to the dinky little 750Ti, the 1060 is a monster in terms of power and capability. The i5 also doesn't hold it back any, from what I can tell. Since I'll be staying at 1080p for a long while, I think this rig should keep me up and gaming for a number of years until something better comes along. By that time, I'll probably just build a new PC to take use of newer platforms and architectures, anyway. "Why not Skylake?" -Because I didn't feel that the small increase in performance justified the cost of buying a new motherboard. Haswell is still perfectly fine, for me. "Who no SSD?" -I was trying to keep the overall upgrade costs down as much as possible, which is why I didn't get an SSD. The speed of the HDD is fast enough for me. That's not to say that I'm not interested in an SSD, though. If I can find one for a good price, I might just get one at some point. Lastly, I apologize for the low quality pictures, my phones a potato. 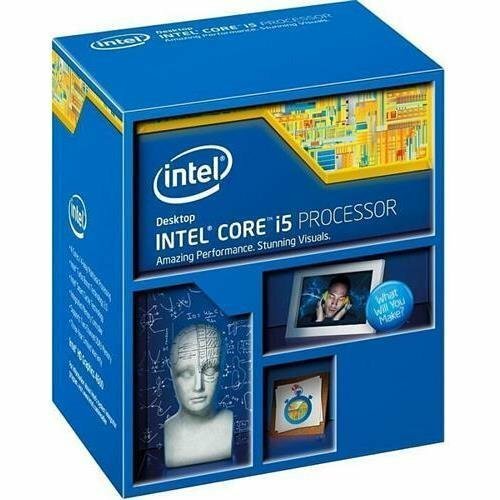 If all you do is play games, this seems like an excellent budget processor if your not interested in OCing and don't need the hyper-threading of an i7 or Xeon. It handles multi-tasking very well, and can handle any game I've thrown at it. Turbo boost is also a nice feature, for when you need a little more power in certain games. A truly fantastic little aftermarket cooler for $30. It keeps my i5-4590 at 60c or below even at 100% load. 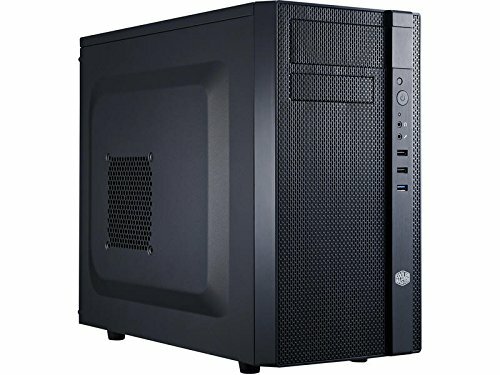 It's also very small and minimalist, and should fit in just about any build. Not to mention, a fairly large tube of thermal paste is included along with it, so it has everything you need in the box (along with the mounting plate and hex driver for tightening it down). It's definitely an upgrade from a stock Intel cooler. I was originally hesitant to get this card, since I'd heard numerous reports of the Gigabyte models having horrible coil whine, as well as people saying how the plastic on the card felt "cheap", but I'm glad I didn't listen, because this card has really impressed me in the short time that I've had it. For the price, it feels solid, and offers some features that I wouldn't expect from a card at this price range (customizable LED lighting, fantastic cooling with dual fans, and a nice modest backplate). The Gigabyte software is also pretty easy to use, as well, and lets you further tune in your desired settings (including a range of different LED options). The only thing that I'm not a fan of is the orange accents and asymmetrical fan designs, but as I can't see either when it's inside my case, that's a moot point. 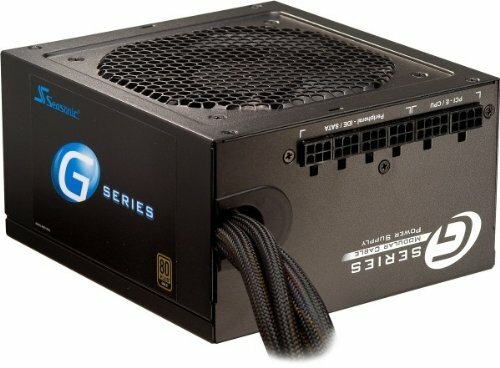 All in all, I highly recommend this card if you can find it for around $250, it's a great value, in my opinion. I upgraded to this from my old Acer AL2216W office monitor that I had used for many years. For the price, this is an excellent 1080p 60Hz VA panel. The blacks are deep, and the color accuracy (to my eyes) is spot on after adjusting the settings and brightness to my liking. For a guy with medium sized hands, it seemed a bit large for my liking at first, but I grew accustomed to it after a while. It's pretty comfortable to use with a palm grip, and doesn't have a million buttons jutting out like some other mice that I had seen. It's a simplistic and minimalist mouse that's comfortable to use for hours on end. The SteelSeries software is also easy to use, as well. You can customize the LED lighting, and set custom profiles for each installed game on your pc, so it changes the settings whenever you launch said game, which is nice (although I haven't used the feature much, myself). 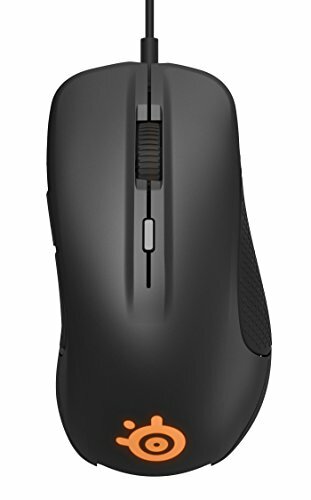 I'd highly recommend this mouse, especially if you have big hands. 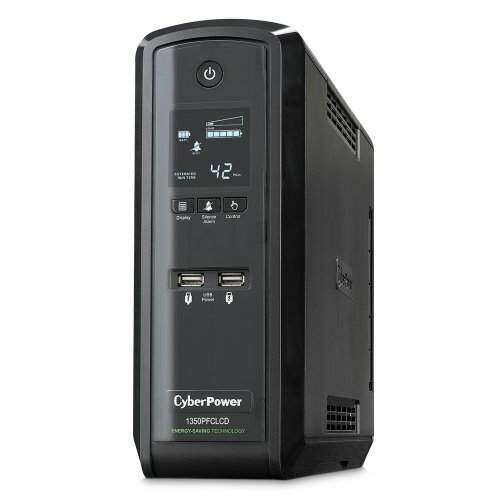 Power outages and brownouts are fairly common where I live, and the wiring in my house is not great, hence why I decided to buy a UPS. This particular model is designed to work with active PFC power supplies (which is not supposed to strain the PSU when it goes into batter backup mode), which is why I chose to go with this one over some of the cheaper models that only offered simulated sine wave. It's already saved me from a few outages in the month that I've had it, so it's doing it's job pretty well, so far. My only gripe is that the software looks extremely outdated, but that's a small con. Solid parts list man, well done! How do you like that Gigabyte 1060? This card is sweet, I have zero complaints with it so far. The highest the fan has has went was 54% when playing the Witcher 3, and it still kept the card good cool and quiet. The fans also turn off at idle, as well, which seems to be a trait common to pretty much all the 1060 cards. You've got a pretty nice build yourself, weeblord. 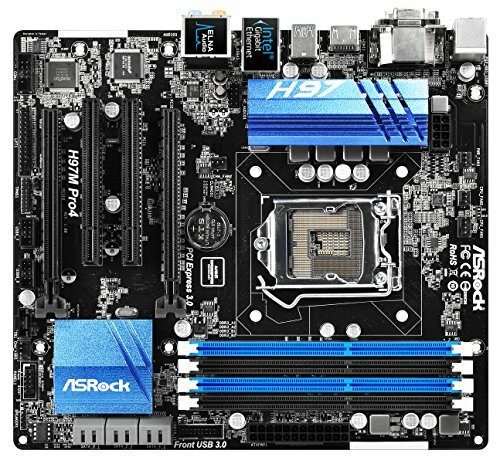 Sweet build man...curious will this MOBO cap RAM's ability @ 1600? So adding anything like 1866 or 2400 would be pointless? I'm pretty sure this motherboard isn't compatible with DDR4. I'm not entirely sure if 1866 would work, either, since it's not listed in the memory type that this mobo supports. 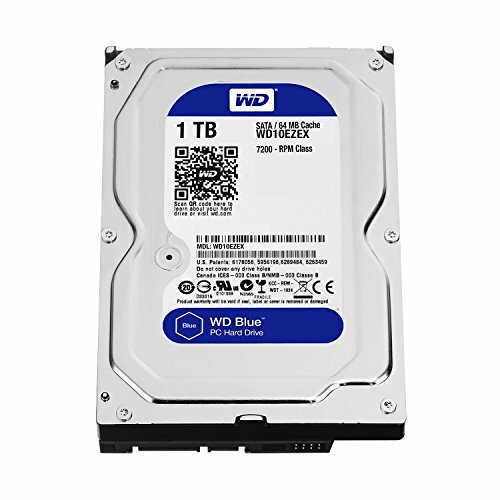 An SSD is pointless. Invest in an ultrawide monitor. I just upgraded to my current monitor barely a year ago, and coming from a SD office monitor, I'm pretty content with what I currently have. Though I do wan't to get an ultrawide somewhere down the line.